“After releasing 2018 F-TYPE, Jaguar announced today that an inline 2.0-liter four-cylinder engine will be added to F-TYPE coupe and convertible. 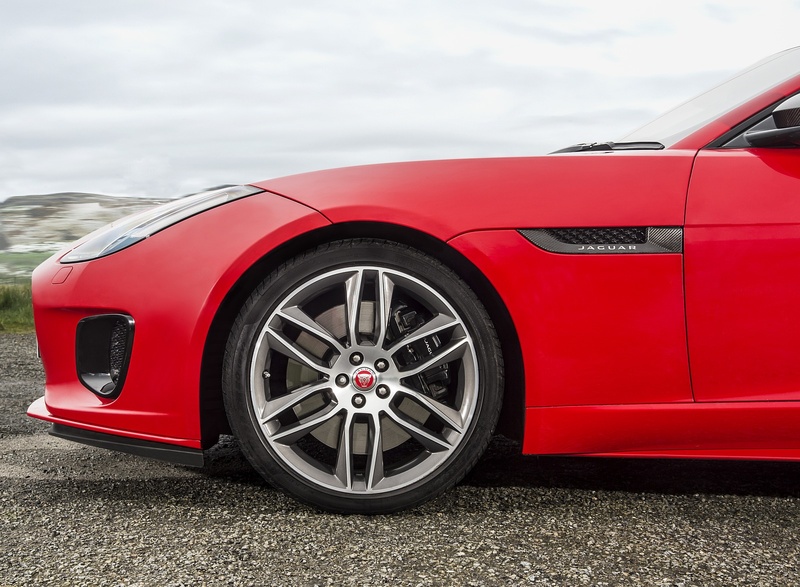 Starting from $59,900, the F-TYPE 2.0T is powered by 296 hp Ingenium engine. Among updates include more distinguishable R-Dynamic trim and 17 lb lighter, more comfortable with improved ergonomics, seats. For more info on the four-cylinder trim and other 2018 updates check out the press release below:” Ed. 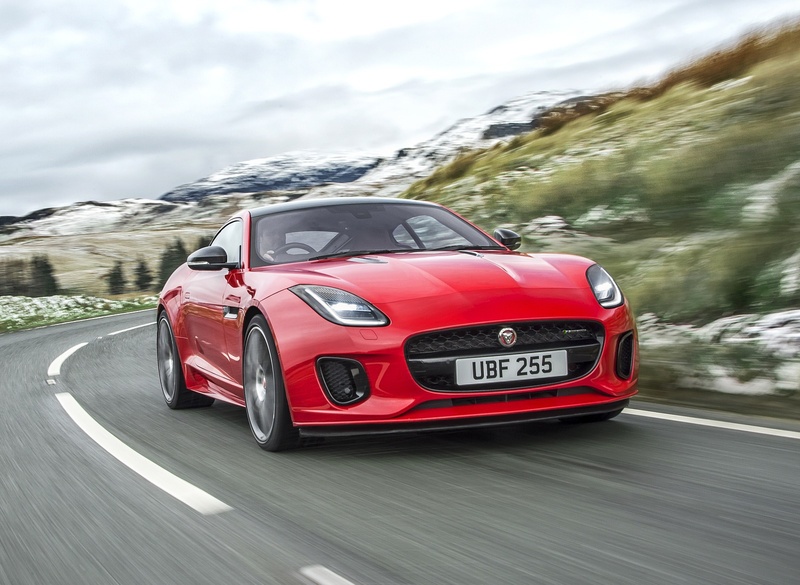 Already recognized as the most dynamically capable and performance-oriented Jaguar, the F-TYPE sports car continues to evolve for 2018, with a fresh look, new powertrain options and the addition of standard technology features previously unavailable. Since its launch in 2012, the all-aluminum two-seater has firmly established itself as a strong competitor in its sports car segment and has won nearly 160 awards worldwide. 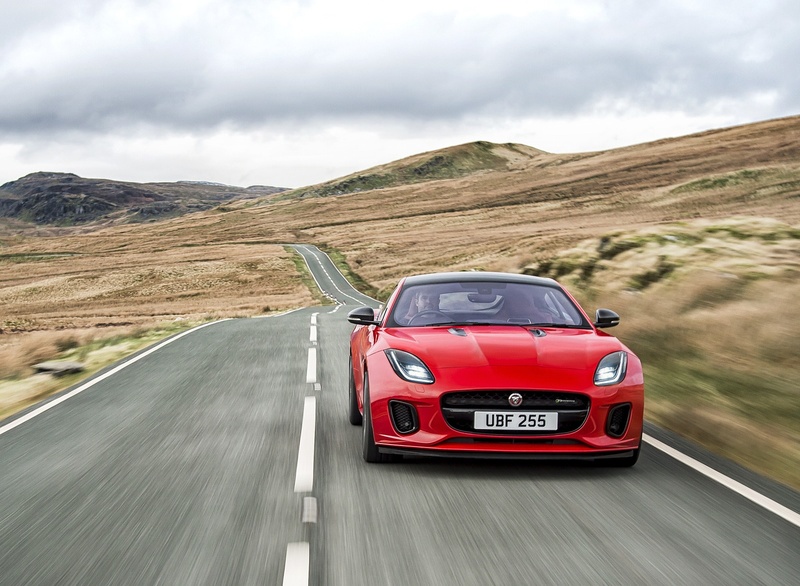 The balance of seductive design, stunning performance and outstanding dynamics has always made the F-TYPE unique. 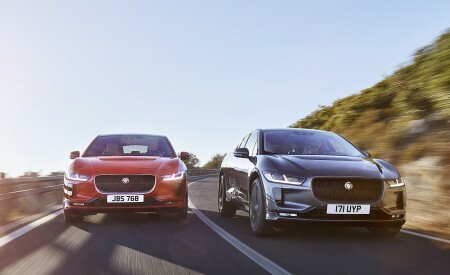 Since its introduction, the F-TYPE range has evolved to include both coupe and convertible bodystyles, the option of automatic and manual transmissions, as well as both rear- and all-wheel drive. 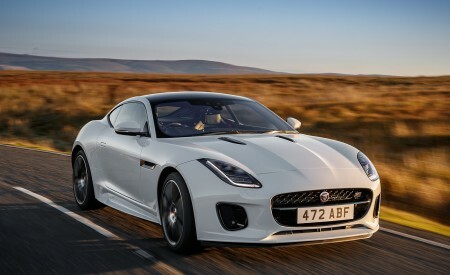 For the 2018 model year the F-TYPE offers even more driver-focused technologies and a broader model range; now comprising of 24 derivatives that include an all-new turbocharged 296hp Ingenium four-cylinder entry model, a number of supercharged V6 options and even the 200mph (3), all-wheel drive 575 hp V8 powered F-TYPE SVR. 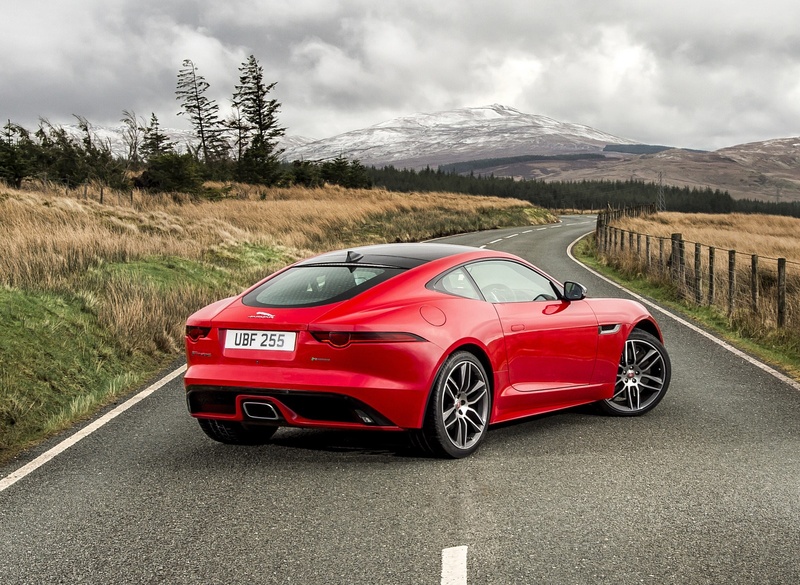 The pairing of the all-aluminium F-TYPE sports car with an advanced 296hp 2.0-liter turbocharged Ingenium engine delivers Jaguar sports car DNA with enhanced agility and affordability. This is a true F-TYPE, with its own unique character. 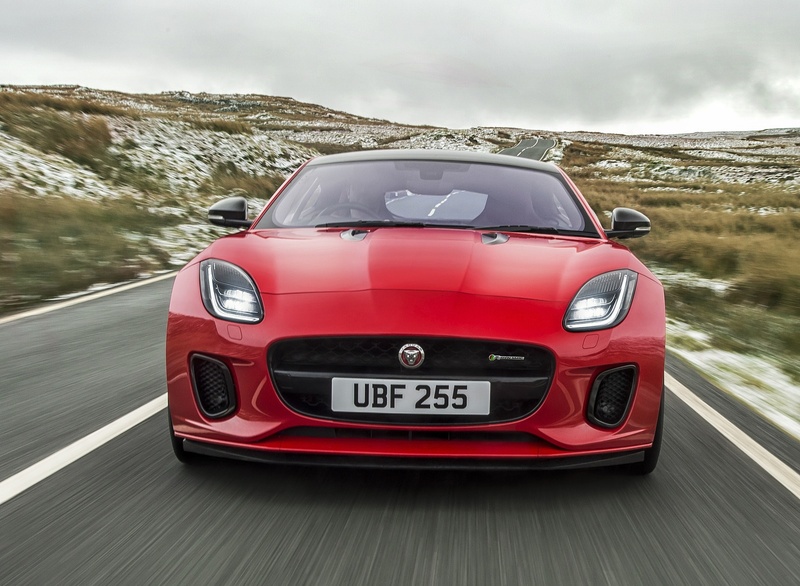 The new model retains the performance expected from the F-TYPE, and can accelerate from 0-60mph in just 5.4 seconds and achieve a top speed of 155mph (2). The turbocharged engine’s high maximum torque of 295-ft. lbs generated from just 1,500rpm work in combination with the eight-speed Quickshift transmission to deliver exceptional response throughout the rev range. Every F-TYPE now features the Jaguar InControl® Touch Pro™ infotainment. Its super-fast responses, intuitive tablet-style pinch-to-zoom and swipe operation, intelligent navigation functions such as Share ETA and online services such as real-time traffic and live weather reports make every journey more rewarding and put a world of information at the driver’s fingertips (5). Enthusiasts will be able to capture and share their driving experiences using the new ReRun app developed in collaboration with GoPro. All-new for Jaguar, ReRun combines real-time video from the driver’s GoPro camera and overlays key vehicle performance data including speed, throttle position, gear selection, braking force and g force. The video – including unique ‘highlights’ sections – can be downloaded to the driver’s smartphone and shared on social media (6). 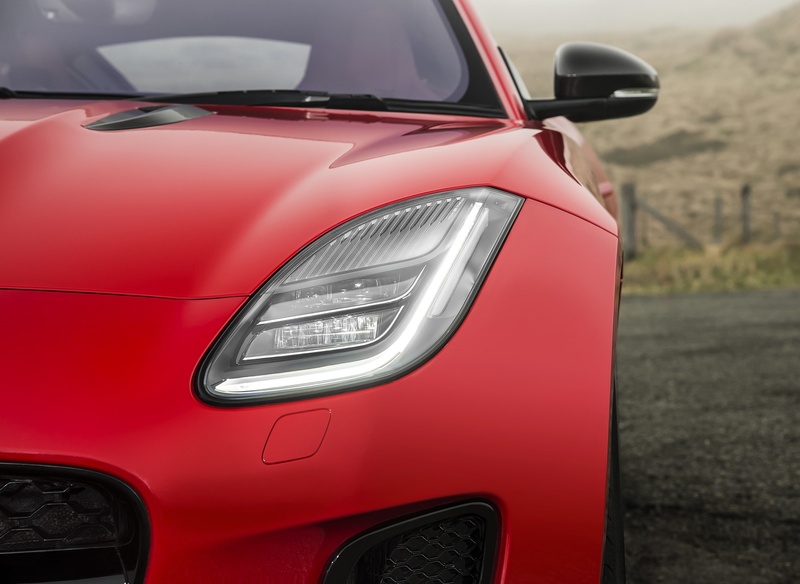 The award-wining design of the F-TYPE is stronger and more focused for 2018, with clearer visual range differentiation thanks to four distinct model-specific front bumpers. Full LED headlights boost visual appeal further and help with visibility ahead of the vehicle. The addition of lightweight slimline seats and new chrome and aluminum trim finishers heighten the driver-focused feel of the interior and perfectly complement the enhanced interior color options including a luxurious Siena Tan leather option now available across the standard model range. To mark the introduction of the new F-TYPE range, Jaguar has developed an exclusive 400 SPORT special edition model, which will be offered only for the 2018 model year. 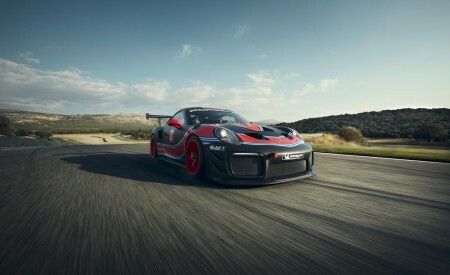 Power from a high output 400hp version of the supercharged 3.0-liter V6 engine is complemented by an uprated chassis that includes standard 380mm front and 376mm rear brakes, Configurable Dynamics and 20-inch wheels with a unique Satin Dark Grey finish. Distinctive Yellow and Dark Satin Grey 400 SPORT badges on the rear of the car and on the front splitter hint at the extra power concealed beneath the clamshell hood and perfectly complement the choice of Indus Silver, Santorini Black and Yulong White metallic exterior paint. Interior design elements include 400 SPORT badging on the center console, steering wheel, treadplates and embroidered headrests. Yellow contrast stitching is featured throughout the cabin. 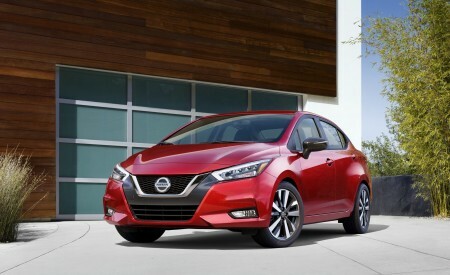 A new R-Dynamic trim level is new to the core range. This specification is available with the 380hp version of the supercharged V6, and is distinguished by standard 20-inch Dark Grey Diamond Turned alloy wheel designs and by Gloss Black front air intake bezels. The distinctive Gloss Black finish is also applied to the front splitter, hood vents, rear valance and side sills. Joining the comprehensive suite of driver assistance systems available on the 2018 Jaguar F-TYPE is a semi-automated park-assist function designed to assist with parallel parking in even the tightest of spaces. When passing a potential space, the car’s ultrasonic parking sensors measure its length. If suitable, the system is designed to assist with steering functions, while the driver controls gear selection into reverse, throttle and brakes. The system will also help guide the vehicle out of the space when it’s time to leave. 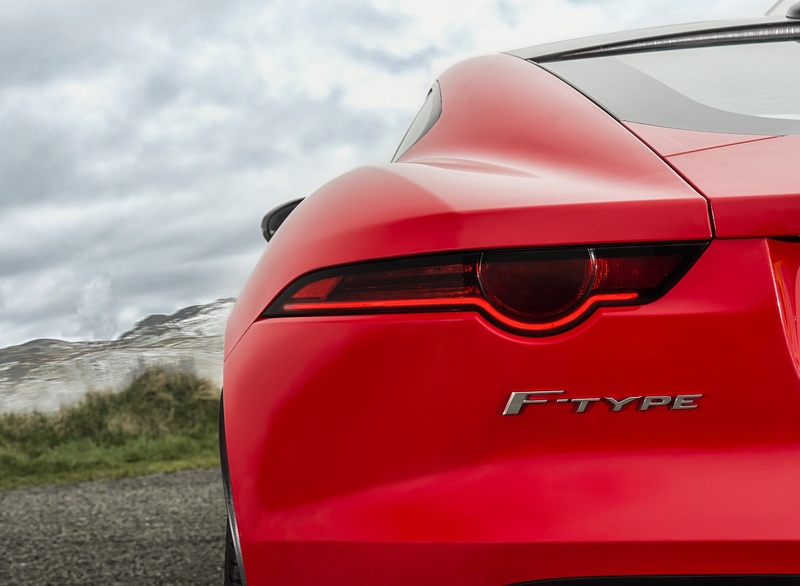 A key aim of the design process for the refreshed 2018 F-TYPE was to establish a stronger, purer statement for the front-end form of the F-TYPE, while also providing clearer visual differentiation between the different models. The addition of full LED headlights and slimline seats make the car’s aesthetics even more striking and significantly enhance the driving experience. 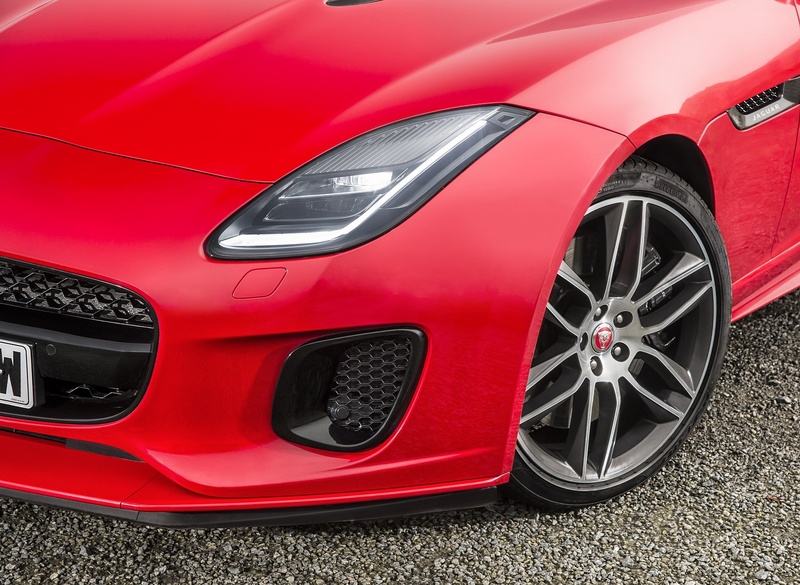 The grille shape and overall design of the F-TYPE are unchanged, remaining – as ever – key elements in the sports car’s DNA. 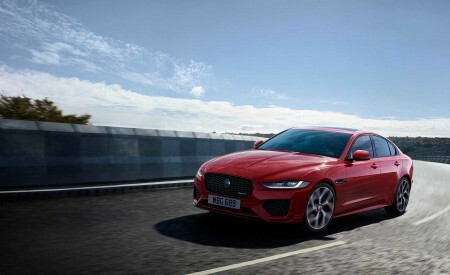 However, for the 2018 model year, designers paid particular attention to the bumpers and air intakes, introducing bolder surfaces and simpler forms with discreet signature features subtly enhancing the front end form, providing greater differentiation across the model range, from the entry F-TYPE all the way up to the range topping F-TYPE SVR. 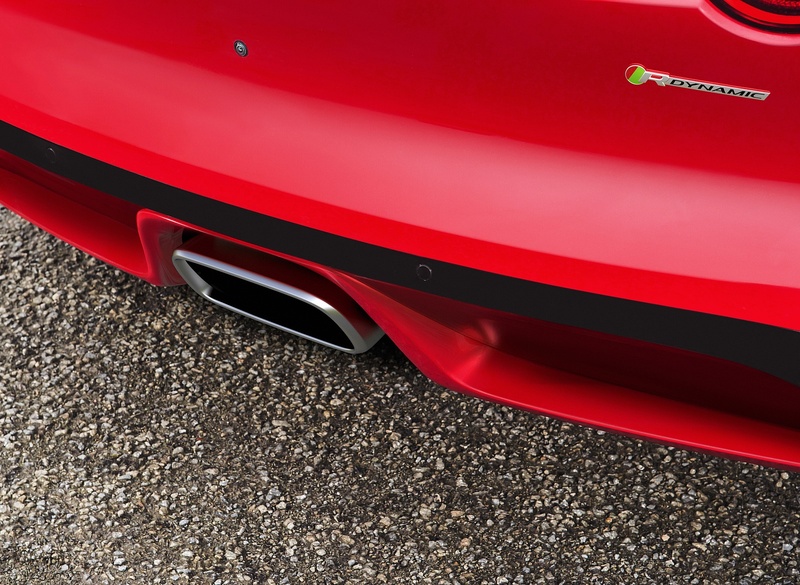 In place of its predecessor’s double ‘shark gill’ air intakes, the new F-TYPE features large, powerful single apertures with a lozenge mesh design. Building on this design theme, the F-TYPE R-Dynamic models gain Gloss Black bezels. Reflecting the step up in power and performance, the 550hp supercharged V8 F-TYPE R features larger, wider apertures with a distinctive horizontal blade to further accentuate the car’s visual width. The 200mph potential of the 575hp supercharged V8 F-TYPE SVR3 is clearly expressed through unique intakes designed to offer the maximum possible airflow and aerodynamic efficiency. The new full LED headlights help to signal the greater clarity in the vehicle’s design language. 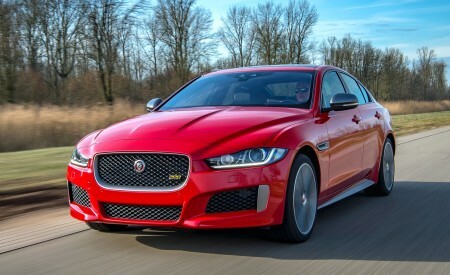 The distinctive Jaguar J-Blade daytime running lights are retained, and these now double as the direction indicators, with the lamp’s ‘eyelid’ indexing with the hood’s cutline to further accentuate the lights’ multi-layered graphics. The LED rear light clusters have been subtly updated as well. The characteristic light graphic of a horizontal line intersecting a roundel – a feature inherited from the iconic Jaguar E-type – is now accentuated by darker lenses to give the car a more purposeful appearance. Like the exterior, the interior of the 2018 F-TYPE, evolves into a purer, more concentrated expression of the car’s original elegance and sportiness. The Jaguar interior design team focused on refining a handful of key elements to create a greater sense of harmony in the finishes, enhance the sense of balance between luxury and performance, and to introduce new material options that give the car a more exotic feel. One of the most significant upgrades is the addition of new lightweight slimline seats which combine an ergonomically-optimized form with added comfort. The seats’ flowing contours and sculpted surfaces also contribute to the F-TYPE interior’s heightened sense of poise. The seat frames are pressure diecast magnesium alloy – a material with the high strength-to-weight ratio and excellent formability required for the ergonomic form of the vehicle’s new seat design. The weight saving compared to their predecessors is more than 17-lbs (8kg). The more supportive backrest bolster and the seat’s upper curvature provide the driver with additional lateral support, heightening the sense of connection between the driver and the car for a more rewarding driving experience. The slimline seats come in two forms: Sport and Performance. 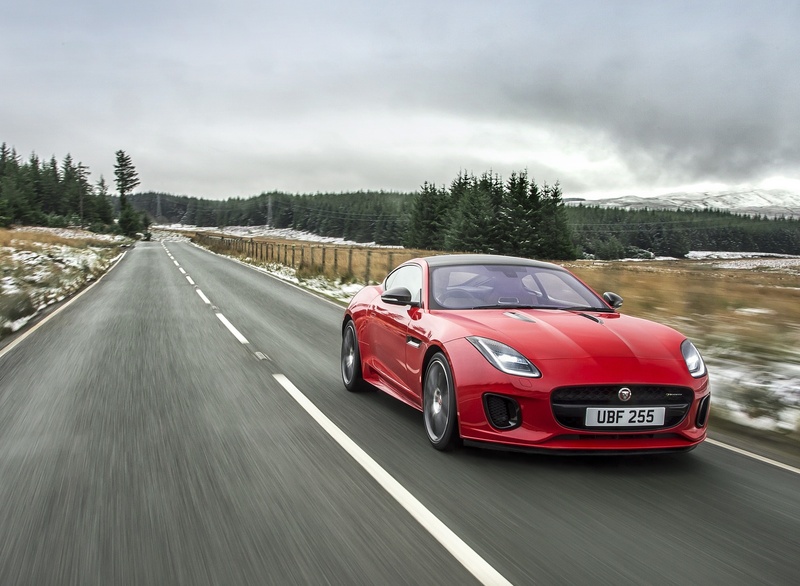 The F-TYPE and F-TYPE R-Dynamic model lines come as standard with the pure lines of the Sport version. The Performance version, which has more detailing and more pronounced wings at shoulder height, is standard equipment on the 400 SPORT, R and SVR – each with unique branding in the headrests. Previously exclusive to the F-TYPE SVR, a Siena Tan leather interior is now offered throughout the standard model range. Paired with the Performance seats, the Siena Tan leather interior creates a more sportive, luxurious environment that gives a warm expression to the sports car’s dynamic personality and perfectly offsets exterior paints such as Carpathian Grey. It provides the perfect opportunity for drivers to create a cockpit that reflects their individual style. The Jaguar design team has carefully refined the interior to produce a more concentrated expression of the vehicle’s original style. Key elements such as the engine-start button and gearshift paddles now receive performance-focused Satin Chrome finishes. A Noble Chrome finish is applied – as a jewel-like accent – to the doors, air vents and steering wheel, bringing stronger visual harmony to the interior design. The center console gains three new finishers to further differentiate the models in the range: the 2018 F-TYPE now sports a simple, knurled aluminum finish, in R-Dynamic models; the new Delta aluminum finisher adds a sportive feel, while R models are differentiated by a Linear Vee aluminum finish with the iconic “R” etched prominently into the surface. A carbon fiber console finisher is also now available as an option across the range. To mark the introduction of the new 2018 F-TYPE range Jaguar has developed the exclusive 400 SPORT special edition. Offered worldwide, but for one model year only, the 400 SPORT features an uprated version of the supercharged 3.0-liter V6 with maximum power increased from 380hp to 400hp. 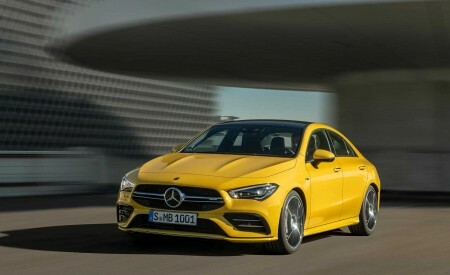 Customers will be able to choose between rear- and all-wheel drive to suit their preferred driving style, and all models benefit from the eight-speed Quickshift transmission and a limited-slip differential. Distinctive Yellow and Dark Satin Grey 400 SPORT badges on the front and rear hint at the 400hp engine beneath the clamshell hood and perfectly complement the choice between Indus Silver, Santorini Black or Yulong White paint. The car’s proportions are enhanced with a more prominent front splitter, extended side sills and rear valance finished in sleek Dark Satin Grey. 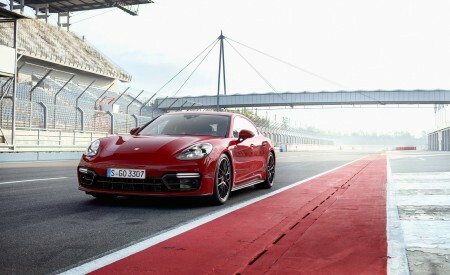 The extra power is complemented by an uprated chassis which includes 380mm front and 376mm rear brakes featuring black calipers and 400 SPORT logo, 20-inch wheels with unique Dark Grey Satin finish and the Configurable Dynamics system which allows drivers to select individual settings for the throttle, transmission, steering and dampers. The cabin benefits from the same attention to detail. Yellow contrast stitching is used throughout the premium leather interior, and the 400 SPORT logo is embroidered into the headrests of the slimline Performance seats with 12-way adjustment. Additional 400 SPORT badging is applied to the flat-bottomed steering wheel, black brushed aluminum center console finisher and the sill treadplates. Anodized aluminum gearshift paddles are another highlight of the driver-focused cockpit. Jaguar is broadening the appeal of the 2018 Jaguar F-TYPE with the introduction of an all-new 2.0-liter 296hp turbocharged four-cylinder Ingenium engine. 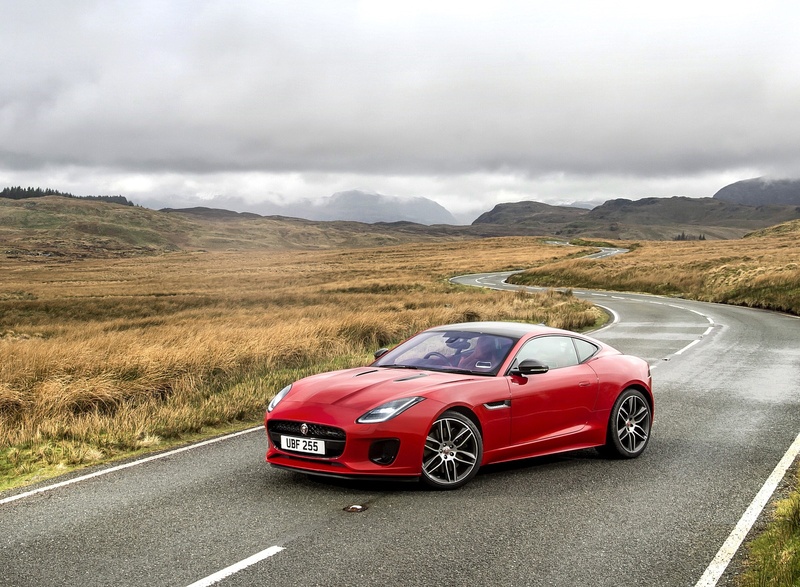 The powerful all-aluminium Ingenium gasoline engine is the perfect match for the all-aluminium F-TYPE, and expands the powertrain line-up from a 296hp 2.0-liter four-cylinder, to the range topping 575hp supercharged 5.0-liter V8 – a breadth of performance unrivalled in the sports car segment. Just like the supercharged six- and eight-cylinder engines, the turbocharged Ingenium four-cylinder delivers the driving experience promised by the award-winning design of the Jaguar F-TYPE with its own character. 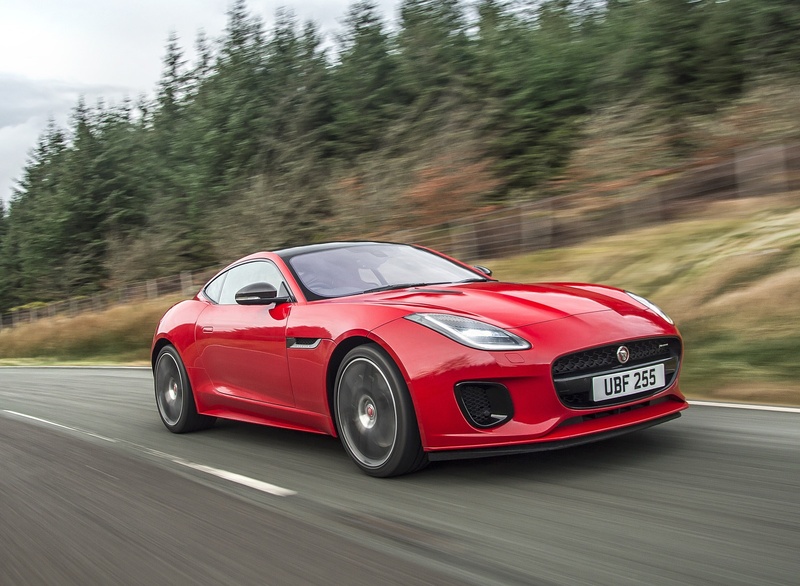 The new model retains the performance expected from the F-TYPE; the new powertrain can accelerate the F-TYPE from 0-60mph in only 5.4 seconds and achieve a top speed of 155mph2. The turbocharged engine’s high maximum torque of 295-lb.ft., generated from just 1,500rpm, together with the eight-speed Quickshift transmission, delivers exceptional response throughout the rev range. Neatly integrated into the cylinder head is an electrohydraulic valvetrain featuring patented control algorithms developed in-house. This technology enables fully variable control of intake valve lift for optimum combustion efficiency, power and torque throughout the engine’s operating range. Most gasoline engines use a throttle valve for load control, but load control on the Ingenium gasoline engine is managed primarily by the intake valves themselves by varying the amount of lift, and the duration for which they are open. To achieve this, the intake cams no longer operate the valves directly; instead they actuate compact hydraulic pumps via low-friction roller finger followers. The oil pressure generated in these pumps is then used to open and close the intake valves. Each pump is actuated by a solenoid valve, and highly sophisticated software is used to control the solenoids. When the solenoids are fully open, there’s no valve lift; when they’re closed, full lift is achieved. Varying the solenoid’s state delivers fully variable valve lift – anywhere between 0 and 11mm – for optimized intake air flow throughout the engine’s full operating range. The 2.0-liter Ingenium gas engine’s electrohydraulic technology is fast enough to deliver cycle-by-cycle control of the combustion process, and, combined with phasers on the intake and exhaust cams delivers even greater flexibility. Late intake valve opening is used during engine start-up: the combination of low valve lift and short duration provides precise control of the exact amount of air required, especially during cold starts. At very low speeds and loads, the flexibility of the valvetrain enables the so-called composite mode – a combination of early intake valve closing and late intake valve opening – which delivers enhanced charge motion and therefore more complete and efficient combustion, helping to lower emissions. At part-load conditions, such as low-speed driving in urban areas or when cruising on the highway, the valvetrain operates an early intake valve closing strategy combined with a later exhaust valve opening, which delivers optimum combustion efficiency due to the increased expansion ratio. Dual independent cam phasing allows optimal residual gas control with minimal frictional losses. The combination of turbocharging and the highly efficient water-to-air cooler means that intake air charge density remains high, maintaining torque output and ensuring that the engine can always respond immediately to the driver’s demands. Under full load the system delivers full valve lift and longer duration, combined with an earlier exhaust valve opening to enable maximum air flow, allowing the engine to provide full performance. In a first for Jaguar Land Rover, the exhaust manifold is integrated into the cylinder head casting. Coolant flowing through ducts in the manifold reduces warm-up times and therefore reduces fuel consumption and improves emissions. The integrated exhaust manifold can also reduce maximum exhaust gas temperatures and therefore the need for enrichment at high load, delivering further efficiency improvements. The manifold is carefully matched to a twin-scroll turbocharger. For maximum efficiency the duct inside the water-cooled turbine housing is divided in two, with one fed by exhaust gas from cylinders one and three, the other by cylinders two and four. This arrangement prevents exhaust gas pulsation interference, ensuring that the turbine wheel responds far more quickly. Boost pressure is delivered near-instantaneously, reducing turbo lag, providing the throttle responsiveness so familiar to the F-TYPE driving experience. 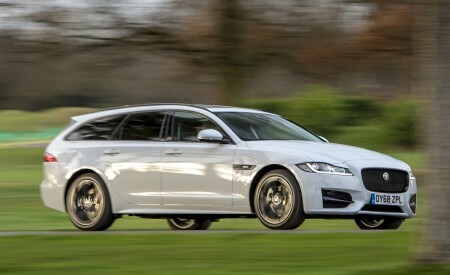 To ensure the best possible launch performance and transient response while still enabling the engine to develop its high peak power output, the turbocharger features ceramic ball bearings – another first for a Jaguar Land Rover gasoline engine. Ceramic ball bearings deliver the lowest possible bearing friction, especially from cold starts. The Ingenium engine also features a new 200bar direct injection system with centrally-mounted injectors. Together with optimized spray patterns this configuration helps to minimize fuel impingement on the cylinder walls and the piston crown, improving combustion and fuel efficiency. The inlet ports deliver high levels of charge motion which, together with the enhancements made to the direct injection system, further reduce wall wetting and promote greater mixing of the fuel and air for more efficient combustion. All Ingenium engines deliver benchmark low levels of friction, contributing to inherently good performance and refinement. Design features which contribute to this are cylinder bores offset by 12mm to reduce tangential forces acting on the cylinder walls, and needle roller bearings for the twin balancer shafts and camshafts. The map-controlled oil pump matches flow rate according to engine speed, load and temperature, and the switchable piston cooling jets only spray oil onto the underside of the piston crowns when required, further reducing load on the lubrication system. The split cooling system with map-controlled electric coolant pump ensures rapid engine warm-up by only circulating coolant through the block once the engine comes up to temperature. As well as reducing fuel consumption this also improves passenger comfort because the heater can warm the cabin more quickly. 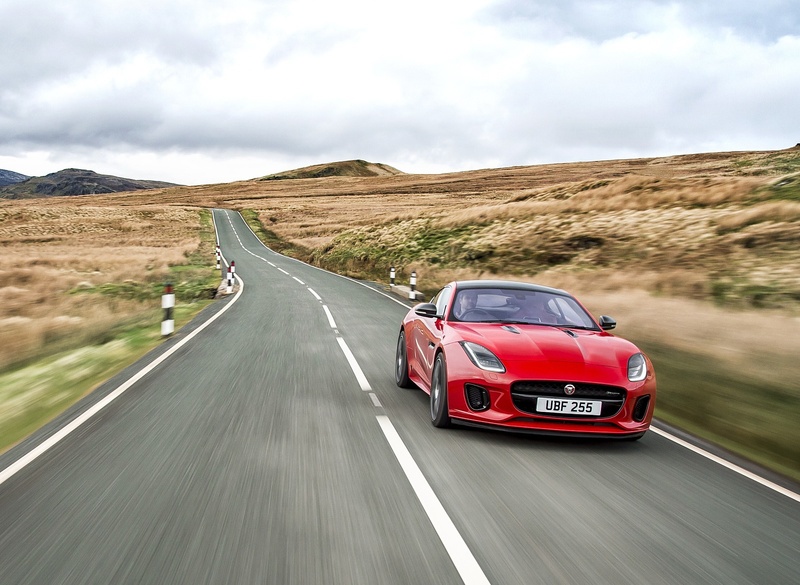 From day one the F-TYPE has been engineered to provide outstanding agility and response without compromising the day-to-day usability and ride comfort expected from all Jaguar cars. The stiff, light aluminium body structure and all-round aluminium double wishbone suspension have always been fundamental to delivering that duality of character. Now, the development team has meticulously tuned the chassis to take full advantage of the additional weight savings offered by the new four-cylinder engine. Weighing 114.6-lbs (52kg) less than the equivalent model powered by the 340hp supercharged 3.0-liter gas V6, this is the lightest F-TYPE yet. The majority of this mass reduction is located over the front axle, delivering maximum benefit to vehicle dynamics, and improved weight distribution – the balance moves one percentage point to the rear. The front and rear spring rates have been reduced by four and three percent respectively to suit the reduction in corner weights. 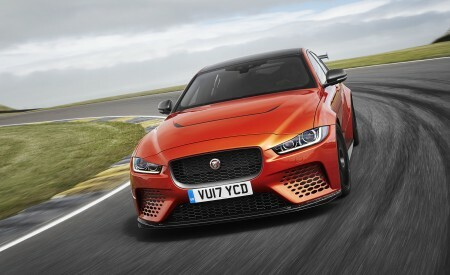 The valving of the monotube dampers incorporates learnings from the F-TYPE SVR program in which meticulous tuning helped deliver enhanced ride comfort while maintaining the required handling character. 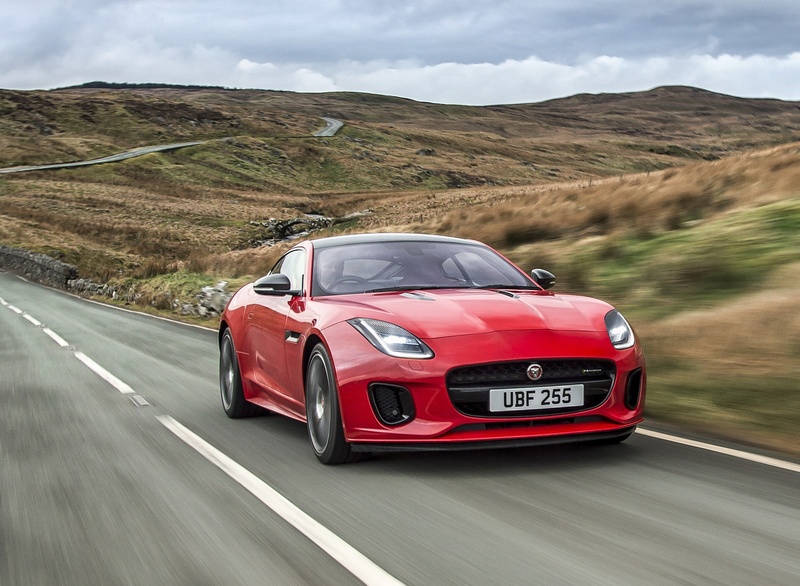 The electric power-assisted steering system in the F-TYPE also has a unique calibration for the four-cylinder model to extract the full benefit of the weight savings and delivers improved tactility and feedback. 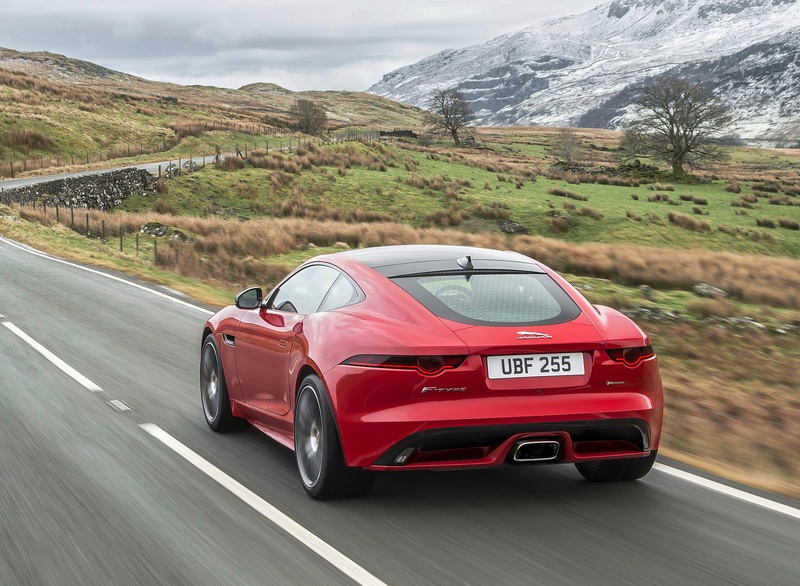 Together with the Torque Vectoring by Braking (TVbB) system – which is designed to apply precisely-controlled braking of the inner wheels during cornering to mitigate understeer – the changes make the F-TYPE even more engaging and enjoyable to drive4. The entry-level Ingenium four-cylinder models are equipped as standard with new, lightweight 18-inch wheels fitted with 245/45/R18 tires at the front axle and 275/40/R18 tires at the rear which help to reduce unsprung mass, further improving responsiveness and control. 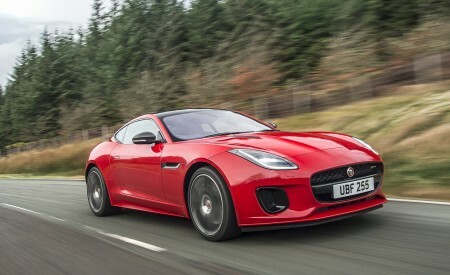 All four-cylinder F-TYPE models can be specified with a range of optional 19- and 20-inch wheel designs. As standard, the braking system on all four-cylinder models has 355mm and 325mm discs at the front and rear respectively, helping provide impressive stopping power. Available later in its 2018 model year, the 2018 F-TYPE will feature a forward-facing stereo camera. This vision sensor is at the heart of its new advanced driver assistance systems. One of these features is the Emergency Braking system (4). If the system’s controller determines that a collision with the vehicle ahead is imminent, the system is designed to initiate full braking automatically, helping to avoid the collision, or to mitigate its effects. The stereo camera also provides the intelligence for the Lane Departure Warning (LDW) and Lane Keep Assist (LKA) systems (4). By monitoring the vehicle’s position relative to lane markings either side, LDW is designed to help to prevent drivers from inadvertently leaving their lane by triggering a visual warning in the instrument cluster and a haptic warning through the steering wheel rim. LKA provides the next level of assistance and is designed to guide the driver back towards the center of their lane by applying a small amount of counter-steering through the electric power-assisted steering system4. The torque applied to the steering wheel can be easily over-ridden, making the system intuitive in operation. The Traffic Sign Recognition (TSR) system uses the stereo camera to keep the driver informed of the speed limit – including temporary limits which apply in construction zones, for example – and the variable limits used on some highways. The limit is displayed in the instrument cluster, and camera data is always cross-referenced against GPS data for maximum robustness (4). Further support for the driver comes from the Adaptive Speed Limiter (ASL). This intelligent system uses TSR system data to adjust the set point and can automatically increase or decrease the vehicle’s maximum speed while the accelerator pedal is pressed. If the TSR system recognizes a higher speed limit ahead, ASL notifies the driver and can smoothly accelerate the vehicle up to the new limit. If the speed limit is lower, the vehicle can coast down accordingly (4). Driver fatigue is a common cause of vehicles drifting out of lane. The available Driver Condition Monitor system is designed to recognize patterns typical of driving when tired, including periods of little or no steering activity followed by sudden or excessive inputs, and can show a multi-stage warning in the instrument cluster and give audible warnings to prompt the driver to take a break (4). Offered for the first time on the Jaguar F-TYPE, the advanced Jaguar InControl Touch Pro infotainment system is now standard equipment across the entire F-TYPE range for 2018 model year. Designed and developed around a powerful quad-core processor, high-speed Solid-State Drive (SSD) and an ultra-fast Ethernet network, Touch Pro delivers outstanding performance and functionality and an intuitive user experience (5). The system’s eight-inch capacitive touchscreen features superb quality graphics and can be customized to provide shortcuts to specific features and functions; additional customized home screens can also be added if desired (5). Data stored on the high-speed SSD can be accessed far more quickly than with conventional hard drive technology, making the graphics incredibly responsive. Zooming in and out of maps couldn’t be simpler thanks to ‘pinch’ and ‘pan’ gestures – just like on a smartphone or tablet (5). An available data connection enables access to a suite of smart, location-based features. For example, enter a destination and Fuel Finder will check if there’s enough fuel in the tank to get you there. (5)(6)(7) If not, this will be flagged and filling stations on the route that are within range are displayed on the map: tapping on one of them is all it takes to add it as a waypoint. Fuel prices can also be shown. Commute Mode learns your daily drive so it can offer alternative routes to avoid congestion using historical and real-time traffic information. But if you do get caught in a jam, Share ETA can send your destination, current location and estimated time of arrival (ETA) to selected contacts via email or text message. If your ETA slips, the system can automatically follow-up with an update (5)(6)(7). The smart navigation features of Touch Pro can also help you as your journey is coming to an end: Arrival Mode adds a 360° interactive view of your destination alongside the map display when you’re within a mile of your destination – it can even show you where the nearest parking garages and then direct you to them (5)(6)(7). A companion app for iOS® and Android™ smartphones enables true door-to-door route planning and guidance and can further help you to complete the final stage of your journey on foot. The app also enables synching of routes and destinations between devices and the new Touch Pro system in the F-TYPE so that routes can be set in advance and uploaded automatically once in the car (7). True enthusiasts will be able to capture and share their driving experiences using the new ReRun app developed in collaboration with GoPro. The all-new ReRun app enables real-time video from the GoPro camera to be overlaid with key performance data from the new F-TYPE, including speed, throttle position, gear selection, braking force, g-force and steering wheel angle (5)(6). The data is displayed using animated gauges. With the smartphone connected wirelessly to the GoPro and to the vehicle’s infotainment system via USB, drivers are ready to start recording. Performance data is sent directly from the vehicle’s electronic control networks to the ReRun app, allowing it to be overlaid in real-time with the footage from the GoPro (6). A unique feature analyzes the data to capture highlights such as peak cornering and braking forces. The ReRun app allows drivers to download either the entire video with highlights included, or just the highlights – and there’s also an editing function. The high-quality videos are easy to share via social media platforms, making it possible for the driver to post their driving experiences across the internet (6). ReRun is compatible with all 2018 F-TYPE models equipped with InControl Apps, and with iOS devices and the GoPro HERO5 Black, HERO (5) Session, HERO4 Black and HERO4 Silver cameras. ReRun is available in English, French, German, Italian, Portuguese and Spanish language formats. InControl Touch Pro provides outstanding audio performance too, and offers a choice of two systems developed specifically for the new F-TYPE with experts from world-renowned British firm Meridian. The standard-fit system has 10 speakers, while the optional Surround Sound system features 12 speakers and delivers exceptionally clear, crisp sound optimized for both driver and passenger. InControl Touch Pro also has smart functions such as ‘Play more like this’ which automatically compiles playlists, or Music Queue, which makes it easy to search for and add songs, albums or artists to a music queue while the current track is still playing. Jaguar Land Rover is on a mission to transform the way customers listen to music in cars, which is why a unique in-car app was developed in collaboration with Spotify for streaming music. 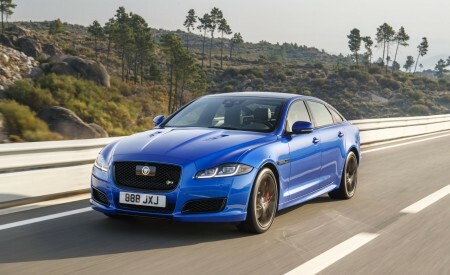 Accessed using Jaguar InControl® Apps™, the app mirrors the Spotify interface that users will recognize from their smartphones – intuitive swipe and touch gestures are used to navigate content, helping to minimize distraction (5). Tapping into Spotify’s ‘deep learning’ which recognizes listening habits, users can access ‘Just for You’ playlists containing recommended tracks, saving time when scrolling through music on the move. Drivers in low-signal areas don’t need to worry, as Spotify’s ‘Offline Mode’ will display downloaded content even if there’s a poor internet connection.